Well, we've taken care of your school party snacks with these two extremely quick ideas, so now let's tackle those Holiday guests! To assemble, grab a muffin/cupcake pan and place a thin slice of ham in each space. 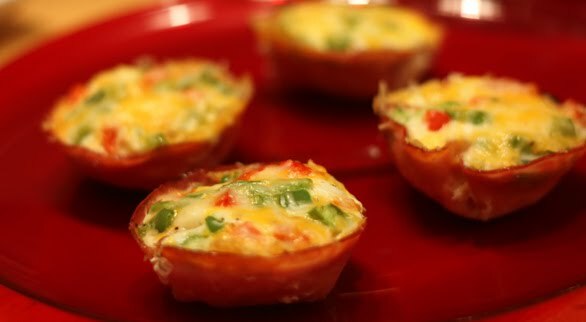 Crack an egg into each ham “cup”. Season with salt and pepper. Sprinkle finely chopped red and green peppers on top. 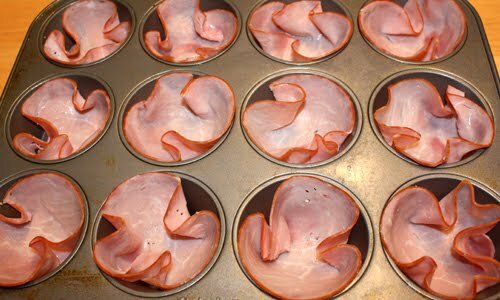 Bake at 375 degrees for 10 minutes. 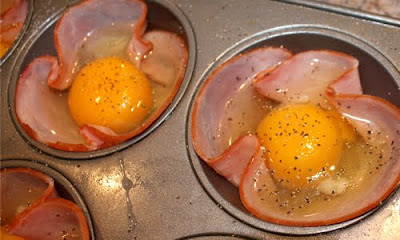 Remove from oven, sprinkle with cheese and bake an additional 5-10 minutes (depending on how done you like your eggs). 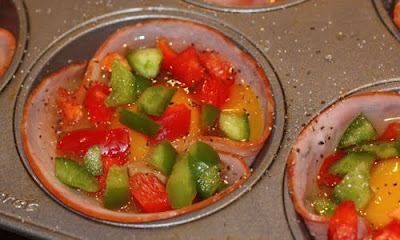 Remove from oven and serve! So easy! 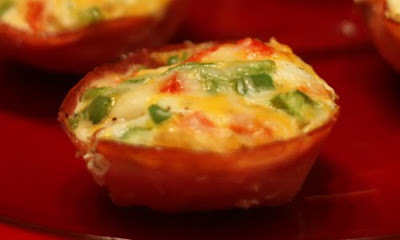 You could also assemble these cups ahead of time and bake them right before you have guests arrive. Do you have any easy Holiday "go-to" recipes for entertaining? I'm looking for new ideas to try this week!